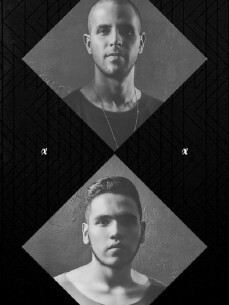 Figueroa &; Obando is a duo formed in 2008, Figueroa an experienced DJ from Colombia and Obando an upcoming young technical producer was the perfect blend to create an overwhelming sound that today makes them excel not only nationally but also internationally. Their sound "Dark N 'Groovy Slow Tech" has led to major labels put their eyes on them and it is not surprise to see Figueroa & Obando music at major festivals being played by great artists such as: Dubfire, Marco Carola, Carl Cox and many more. Without a doubt this duo is making a buzz and insurance will remain in the mouths of many. Figueroa & Obando is a duo formed in 2008, Figueroa an experienced DJ from Colombia and Obando an upcoming young technical producer was the perfect blend to create an overwhelming sound that today makes them excel not only nationally but also internationally.